Chapter 7 bankruptcy in New Jersey discharges most debts. Filing a chapter 7 bankruptcy in NJ helps people end harassing debt collector phone calls and other collection efforts by creditors. Filing a New Jersey chapter 7 bankruptcy will temporarily stop a sheriff sale, but may not allow a homeowner to keep his home. Talk to a NJ Bankruptcy attorney about the differences between a chapter 7 and chapter 13 if you have any questions. Why would someone file a Chapter 7 instead of a Chapter 13 bankruptcy? Chapter 7 bankruptcy is used by people who have no secured debts or do not have any secured property they want to keep. For instance, if a homeowner owes $300,000 on a home that is only worth $150,000 a chapter 13 bankruptcy is probably not the best choice. However, when you have more equity in you secured assets than you can protect with your New Jersey Bankruptcy Exemptions or Federal Bankruptcy Exemptions a NJ chapter 13 bankruptcy is a better idea than liquidating all of your secured assets under a chapter 7. 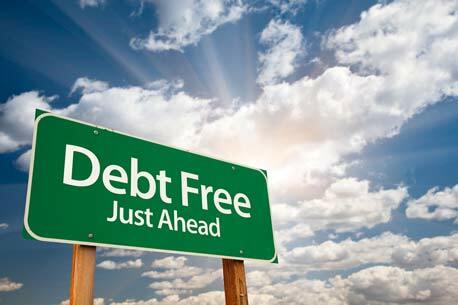 If most of your debt is credit card related or medical debt these debts can easily be discharged in bankruptcy, however certain debts like student loans are almost impossible to discharge. Are you eligible to file for Chapter 7 Bankruptcy in NJ? The New Jersey means test applies to people with high incomes. It keeps them from filing a chapter 7 when they could repay at least some of their creditors under a Chapter 13 bankruptcy. This means that if your income is below the New Jersey median income for your household’s size you can file a Chapter 7. However, if your income is higher than the New Jersey’s median income you will need to run your income through a means test calculation to determine if you can pay back a portion of your unsecured debts through a Chapter 13 bankruptcy. If your debts are not primarily consumer debts or if you are a disabled veteran and incurred your debt primarily during active duty or performing a homeland defense activity you may be exempt to the Means Test. Military Reservists and the National Guard members may also be exempt if they had 90 days of active duty and are applying 540 days from that service date. What is the New Jersey Median Income? New Jersey Medium income is what the average household in New Jersey makes based on size. Households of larger sizes are allowed to have larger incomes to pass the test. If your currently monthly household income is less than the New Jersey median income for a household of your size there is a presumption hat you are eligible to file a Chapter 7 bankruptcy and pass the means test. Your average household income is based on your income for the last six calendar months. Your yearly income would be twice what this number is. You will have to provide proof of income when you file for bankruptcy for these 6 months. However, if you are over the median income limit but your income has declined over the last six months, you may want to wait a couple of months to bring our income under the median level for New Jersey. You are required to take a credit counseling course at least 180 days prior to filing a chapter 7 bankruptcy. This can be waived in emergency situations, however, the class can easily be completed in an hour or two.